How is social change covered in the wake of civil unrest? 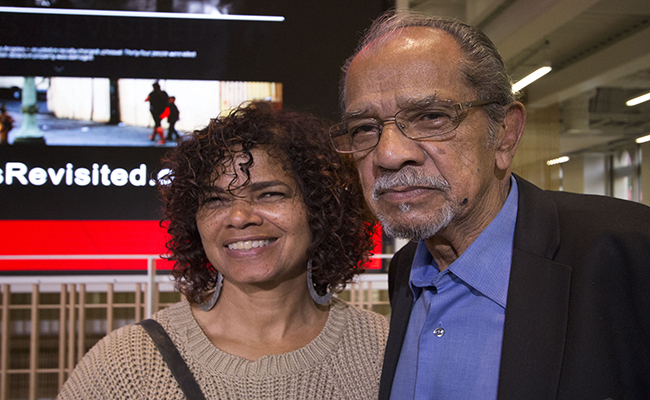 Journalists, community organizers and students convened at the USC Annenberg School for Communication & Journalism on April 23 to reflect on the upcoming 50th anniversary of the Watts Riots — along with underlying issues, and how reporting can benefit the community. 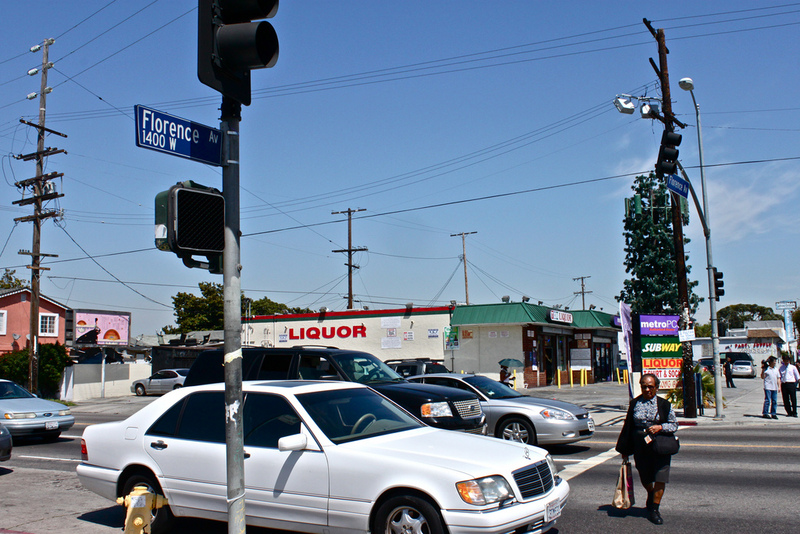 The event was the culmination of a months-long project that connects local and ethnic media outlets and organizations to investigate current structural problems and potential solutions in South Los Angeles. Through a partnership between USC Annenberg School for Communication & Journalism’s Metamorphosis Project, Intersections, five additional news outlets, six community organizations and a local high school, attempted to create a glimpse of contemporary challenges, as well as where change is happening that could be expanded. Annenberg Civic Engagement and Journalism Initiative Director Daniela Gerson moderated a panel that considered how coverage of South Los Angeles can play a role in drawing attention to and alleviating structural inequalities that contributed to civil unrest and rioting. The panel included observations from two long-time South L.A. residents with first-hand perspectives on the unrest and coverage of it. Larry Aubry, a columnist with the Los Angeles Sentinel and civil rights activist who witnessed the 65 riots, exchanged thoughts with his daughter, KCET writer Erin Aubry Kaplan, who reported on the 1992 unrest. 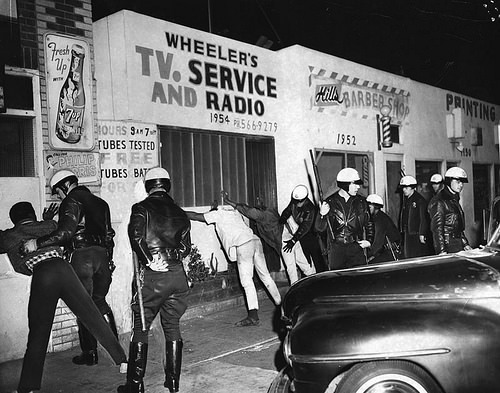 Among the questions they raised was: Just how should we refer to the event commonly known as the “Watts Riots?” Perhaps “culmination,” said Kaplan, indicating that such eruptions come from long-simmering issues and that terms riots, unrest, and rebellion do not encompass all of the elements. Two of the project participants, KPCC Community Health Reporter Adrian Florido and Community Coalition press liaison Isaiah Muhammad shared the process of collaborating on an article about promoting healthy living, as well as some of the barriers for media to cover South LA such as an assumption of a violent narrative and lack of context. 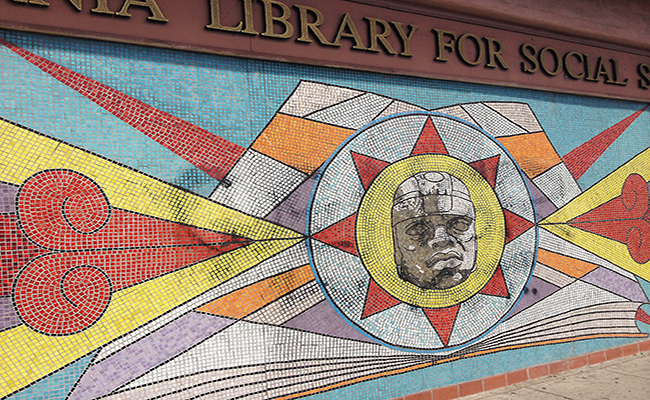 The four panelists agreed that many stories remain to be revealed in South L.A. — if only reporters can dig deep to the “grassroots level,” as Kaplan suggested. The audience divided into teams to do just that, meeting with community activists to discuss development, housing, jobs and health. 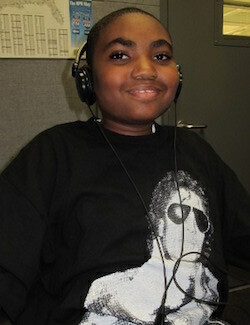 Visit the site at www.wattsrevisited.org. 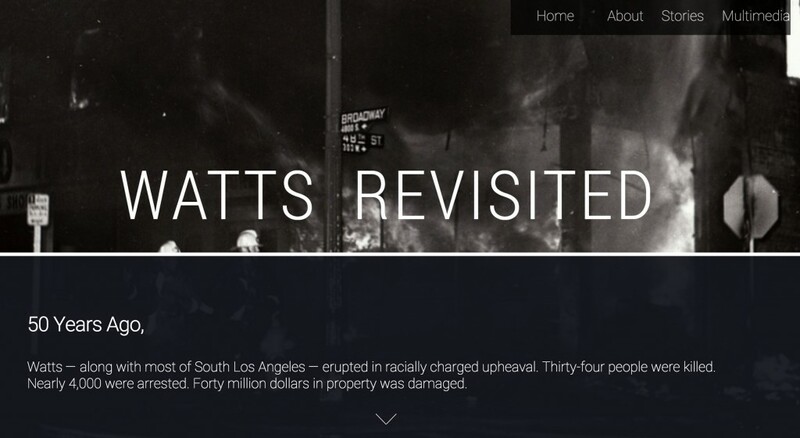 The event also marked the launch of WATTS REVISITED, a website that provides solutions-oriented reporting about challenges that South L.A. faces today. It was created by Intersections, the Metamorphosis Project and the Civic Engagement and Journalism Initiative, all hosted at the USC Annenberg School. Media partners included La Opinion, LA Sentinel, Hoy, LA Wave, KPCC, and students from the journalism program at Augustus Hawkins High School. 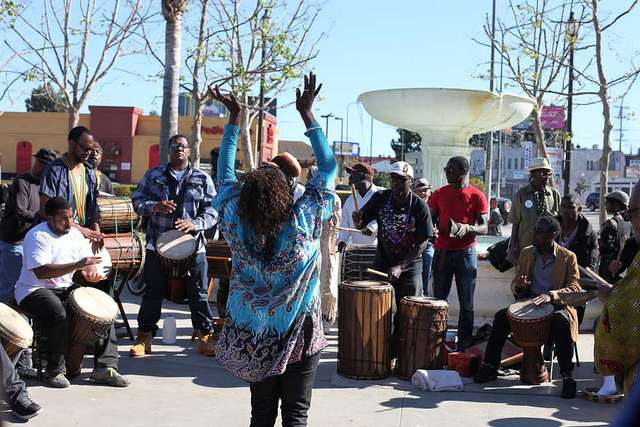 Community organization partners included the All Peoples Community Center, Coalition for Responsible Community Development,Community Coalition, Community Health Councils, Esperanza Community Housing Corporation, and Trust South LA.